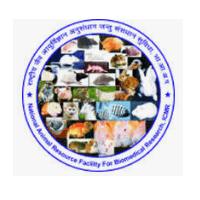 NARFBR Recruitment: ICMR-National Animal Resource Facility for Biomedical Research Job notifications for Technical Assistant, Lab Attendant, Multi Tasking Staff, Assistant & Upper Division Clerk. The detailed eligibility and application process are given below. Bachelor’s Degree in any discipline from a recognized University/Institution. Mode of Payment: Demand Draft in favour of “Director, NARFBR” payable at Hyderabad from any nationalized bank. How to apply for NARFBR Recruitment? All interested and eligible candidates can send duly filled application form along with required documents to the following postal address on or before 25 February 2019. Tarnaka, Hyderabad – 500 007.